Teen Titans Go! To the Movies comes on Bluray/DVD tomorrow, Tuesday October 30th. Pre-order your copy today! If your household is anything like my household, super heroes in all shapes and forms control your television on the daily! I could blame my kids but the truth is, it is mostly me! Ha! And even though the new Teen Titans Go! To the Movies comes on DVD/Bluray tomorrow and is an animate movie, we will be owning it in our family movie collection because I totally want it!! No shame my super hero loving friends! 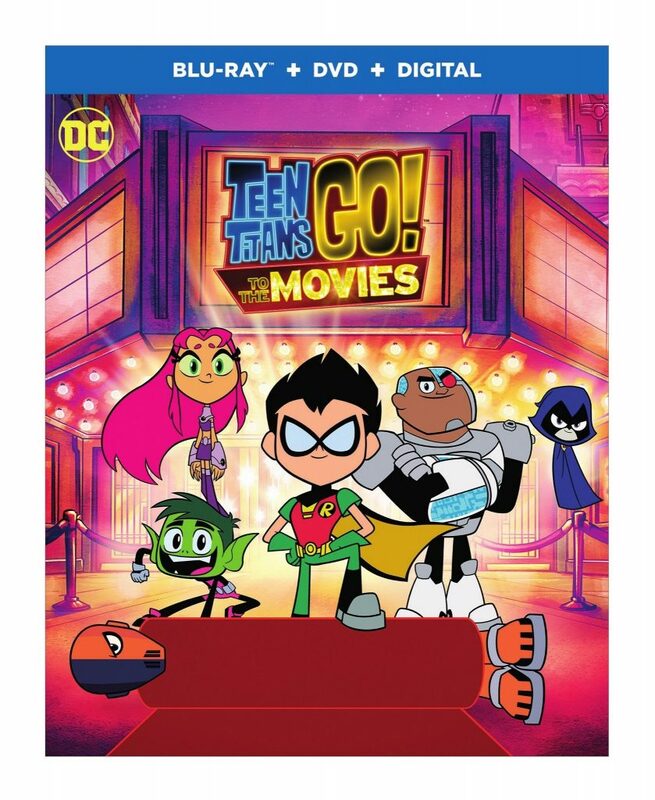 In fact, you can pre-order the new Teen Titans Go! To the Movies today on Amazon and have it shipped to your home as soon as it releases! When the Teen Titans go to the big screen, they go big! It seems to the Teens that all the major superheroes out there are starring in their own movies—everyone but the Teen Titans, that is! But de facto leader Robin is determined to be seen as a star instead of a sidekick. With a few madcap ideas and a song in their heart, the Teen Titans head to Tinsel Town, certain to pull off their dream. But when the group is sidetracked by a seriously super villain and his maniacal plan to take over the Earth, things really go awry. The team finds their friendship and their fighting spirit failing, putting the very fate of the Teen Titans themselves on the line!